The widow of a former pipefitter has won a $5.13 million verdict. The decision is considered one of the largest of its kind in Anderson County, South Carolina. The pipefitter in the case, Thomas Glenn, worked on and around pumps, gaskets, valves, and other equipment at five separate Duke Energy facilities from the 1970s through the 2000s. Per a Free Library report, “the gaskets typically got stuck to rims and had to be taken off with either a scraper, wire brush or a power grinder.” A co-worker testified that Glenn spent months over the course of a year grinding and drilling off this coating. Glenn was diagnosed with mesothelioma in December 2014 and died of the disease just two months later in February 2015—before he could give his deposition. Mr. Glenn’s widow filed suit five months later in July 2015, with several co-workers agreeing to testify on his behalf. Gaskets are made up of about 85% asbestos, so attorneys for Glenn and his widow argued that the removal of the gaskets caused a substantial health hazard to Glenn and to those working around him. This was “known and foreseeable” to valve manufacturers like Fisher and Crosby long before Glenn ever worked with their products. The defendants argued that the chrysotile asbestos in their products was safe and not the dangerous type of asbestos. However, the defendants argued, Duke should have warned its employees about the dangers of asbestos. The jury disagreed with the defendant’s arguments, handing down the verdict against valve defendant Fisher Controls International LLC (Fisher) on January 24, 2019. Judge Jean Toal, former Chief Justice of the South Carolina Supreme Court, presided over the trial. If you have been exposed to asbestos, you are at risk of developing mesothelioma. Remember, there is no safe level of exposure to asbestos. Even worse is, it could take decades for mesothelioma to develop. By this time, it could already be too late, so it is important to see your doctor right away. Your doctor can refer you to a specialist who can assess your risk, administer tests, and if necessary, set up a monitoring plan that could help detect mesothelioma sooner and in its most treatable stages. Early detection could lead to better treatment options and outcomes. Schedule an appointment to see your doctor today. Cresenzo, Bill. 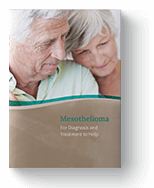 “Mesothelioma victim wins $5.13M jury verdict.” South Carolina Lawyers Weekly. South Carolina Lawyers Weekly, 13 Feb. 2019. Web. 19 Mar. 2019. Cresenzo, Bill. "Mesothelioma victim wins $5.13M jury verdict." The Free Library. Farlex, Inc., 13 Feb. 2019. Web. 19 Mar. 2019.